South Eastern railway has released a notification for the recruitment of more than thousand posts for various trades.Interested candidates in South Eastern Railway Recruitment 2018 can fill application form by online mode.Eligible candidates can apply online form between 04-12-17 to 02-01-2018 at 17:00 hrs.More information you can check here from below. Railway Recruitment Cell South Eastern Railway is inviting online form for filling 1785 apprentice vacancies.This is a good opportunity for the candidates who are waiting for railway jobs.Appliers should check post wise required information before filling this application form.Candidates must see others Eligibility Criteria such as educational qualification, selection process, how to apply, fee are given below. Age Limit: Candidates age must lie between 15-24 years as on 01-01-2018.Age relaxation is applicable as per Govt. rules. Educational Qualification: Candidates must have passed 10th class under 10+2 examination system from a recognized board with minimum 50% marks in aggregate and an ITI pass certificate in the trade ITI Pass certificate (in the trade in which Apprenticeship is to be done) granted by the NCVT for these vacancies. Selection of the candidates for SER Recruitment 2017 will be based on GDCE Written Examination & Medical Test. Final Selection will be made on the basis of Marks Obtain in Examination. candidates can check full information about South Eastern Railway Recruitment 2017– 18 Exam procedure which is shown below. The exam will contain Multiple Choice Objective Type Question. GDCE Exam will contain GA, General Intelligence, Arithmetic & reasoning Subject. There will be negative marking in the examination. For Every wrong answer, 1/3 marks will be deducted. Application fee: Eligible candidates need to pay Rs. 100/- through Payment gateway by using debit card/ credit card/ Internet Banking/ e-wallets. No fee for SC/ ST/ PWD/Women candidates. 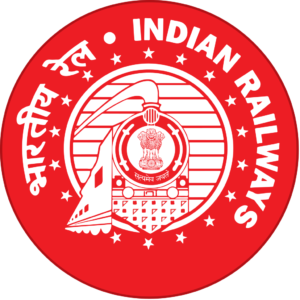 How To Apply for South Eastern Railway Recruitment 2018: Eligible candidates can apply online through the website www.ser.indianrailways.gov.in from 04-12-2017 to 02-01-2018 at 17:00 hrs. ⇒Complete the registration if he/ she would be a new user. ⇒Complete the login details if already registered candidates. ⇒Fill all the details & submit the form. ⇒Take a print out of online application form for future use. Closing Date to Apply Online: 02-01-2018 at 17:00 hrs.